realmofcollectors has no other items for sale. RONIN HAWKEYE Marvel Legends AVENGERS ENDGAME Thanos Armor BAF wave IN STOCK!!! 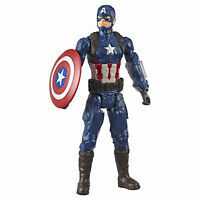 Marvel Legends Captain America and Crossbones Marvel Studios 10th Anniversary 6"